I was going through my old files and I found this one. 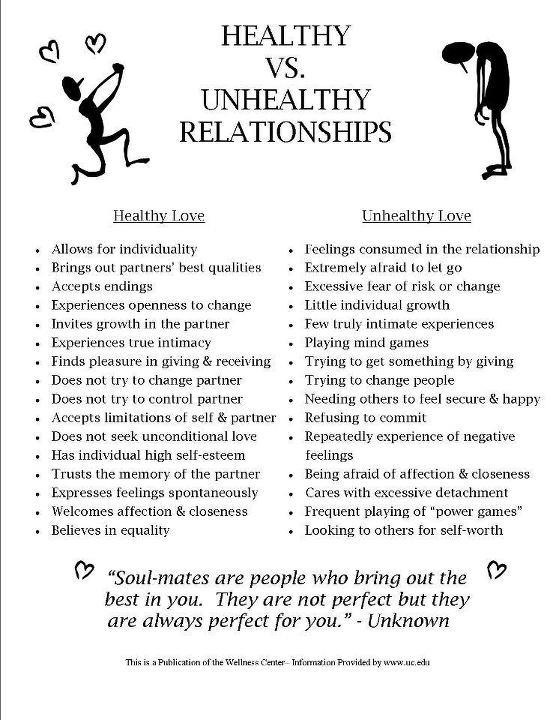 I hope you’re in a healthy relationship but if not, please don’t get stuck; there is help, hope, and healing. Do you find yourself struggling in your relationships? 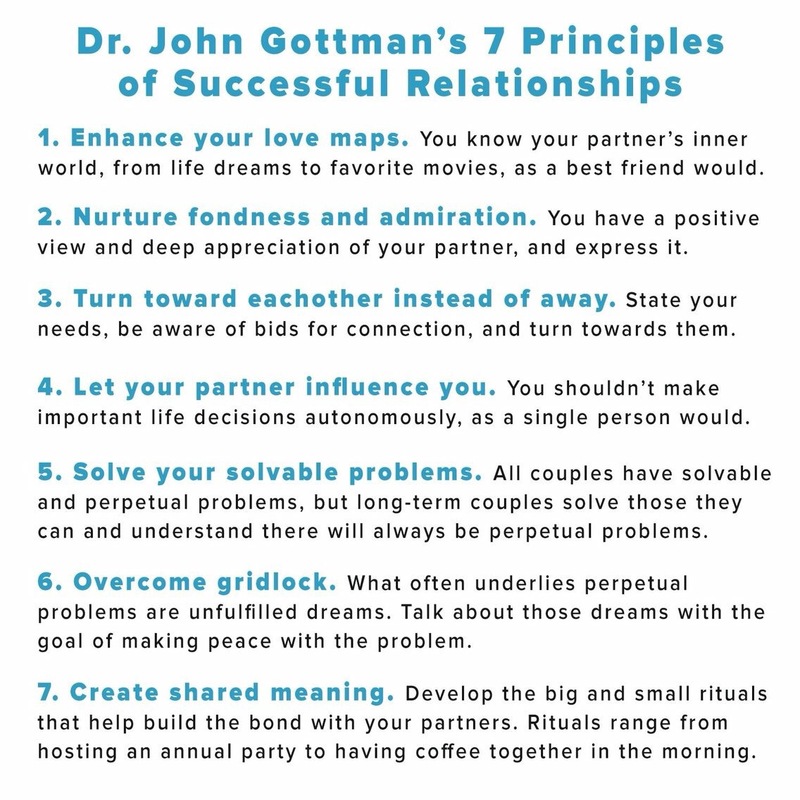 I’m a huge fan of Dr. John Gottman and his approach to helping people have healthy relationships. The following is for intimate partnerships but I am convinced they are valid for all relationships, just toned down to respect platonic boundaries. I hope these 7 principles help you have stronger relationships. We are a disposable culture. This isn’t always a negative. When I was younger, I used to babysit my sisters and my mom never had disposable diapers. That was okay because I can handle cloth diapers but the problem was, I didn’t know how to fold them. One night, I was babysitting and I ran out of diapers; the only ones left were the freshly washed ones in a laundry basket – unfolded. I had to call the neighbour lady to help. That night I would have killed for a disposable diaper! Beyond some conveniences we appreciate, think about all the stuff we just use up and throw away. Even this MacBook I am using to write this will one day be disposable (hopefully resealable or recyclable but still I will dispose of it for a new one). We have become so used to disposing of things, even our most sacred and cherished spaces have been invaded by disposable culture. We were created for relationship. Love and belonging are the two fundamental human needs. And yet, our relationships are disposable. Now I’m not talking about the ebb and flow of people that come in and out of our life. I’m also not talking about necessary boundaries to safeguard ourselves from abuse. I’m talking about the intentional disposing of people in our lives because they have become inconvenient, hard work, or we just can’t be bothered to make the effort. Once disposed of, we often look on those people with contempt. Marriage is when two become one. Sadly, one often decides to dispose of the other. Parents have teenagers they don’t know what to do with so they dispose of them from the house. Over the years, our home has been a safe place for half dozen disposed teens. Friends dispose of each other over some of the most ridiculous things. Most heartbreaking is when someone makes the choice to dispose of a baby – before or after he or she is born. What if God was like that? We would be doomed. For those who trust God, we desire to have Christ’s character manifested in us. What I have noticed is we usually frame that within bad habits and choices. Sure, those are important, but we worry about them and without even a pause we dispose of people like we throw away used diapers. Can you imagine what your life, your church, and the community you live in would be like if we had just 20% of God’s non-disposable character? *Isaiah 49:15 and Matthew 28:20. I modified a couple words to make the point but the meaning is the same. Thank you fitnessgrad for nominating me for this quote challenge. This is day two of a three day challenge. For previous posts: Day 1.